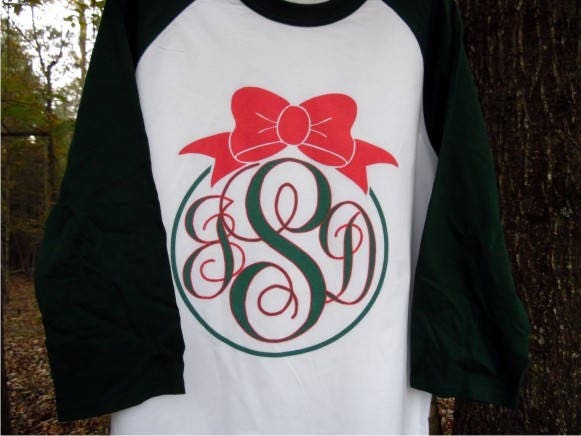 This Christmas ornament monogram 3/4 sleeve baseball style raglan T shirt will make excellent holiday wear this season. It would also be a most thoughtful gift (school teachers, co-workers, etc.). When you purchase, include a note with your INITIALS - like this example - Pamela Diana Powell - pPd (with the P in the middle being the largest - for my last name) and also include your print color selection (limit 2 print colors please).